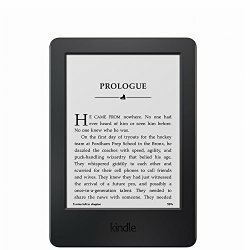 Just in time for Read an E-book Week: Until March 7, Amazon is offering $20 off the basic Kindle. This e-ink reader features a touch screen with special offers. Amazon is also offering 175 Kindle books for $1.99 until March 11, 2015. The selection is quite varied, featuring thrillers, mysteries, romance and more. Kindle Daily Deals: Gould’s Book of Fish by Richard Flanagan and more…. Kobo Daily Deal: The Game and the Governess by Kate Noble for $1.99. I will be looking for special deals and events to post all during Read an E-Book Week. This entry was posted in Daily Deals and tagged Kindle, RAEW. Bookmark the permalink.